Da Capo Lifelong Books, 9780738234779, 272pp. If you're suffering form anxiety but not sure why, or if you're struggling with loss and looking for solace, Anxiety: The Missing Stage of Grief offers help -- and answers. 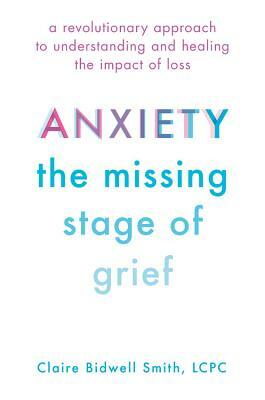 Significant loss and unresolved grief are primary underpinnings of anxiety, something that grief expert Claire Bidwell Smith discovered in her own life and in her practice with her therapy clients. Now, using research and real life stories, Smith breaks down the physiology of anxiety, giving you a concrete foundation of understanding in order to help you heal. Starting with the basics of What Is Anxiety? and What Is Grief? and moving to concrete approaches such as Making Amends, Taking Charge, and Retraining Your Brain, Anxiety takes a big step beyond Elisabeth Kübler-Ross's widely accepted five stages to unpack everything from our age-old fears about mortality to the bare vulnerability a loss can make us feel.